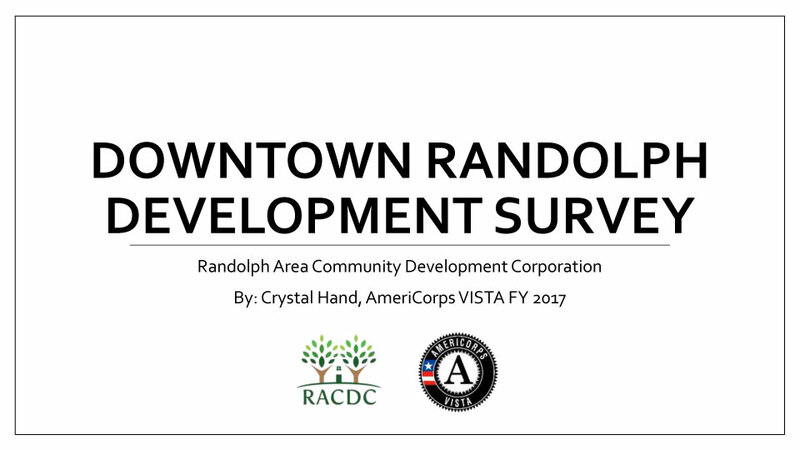 Thank you for all survey responses we gathered to produce meaningful information from this survey to better address downtown Randolph and Randolph Area's needs in the community. We have created an infographic and an in-depth presentation available for download. Thank you again and enjoy the information! VIBRANT is the #1 word respondents would like to describe their downtown. More recreation, nature, community spaces, and parks in our downtown was #3 response we got from additional comments on respondents likeliness to do business in Randolph. How to make downtown Vibrant? Click button below to check out our project to build a pocket park in downtown Randolph as we work towards making our downtown vibrant and to bring green space to our downtown to increase economic opportunity and help our businesses! For a description of methodology and an indepth analysis of the survey, download the full presentation of results. How we make this information tangible and useful? What happens to this information and where do we go from here? 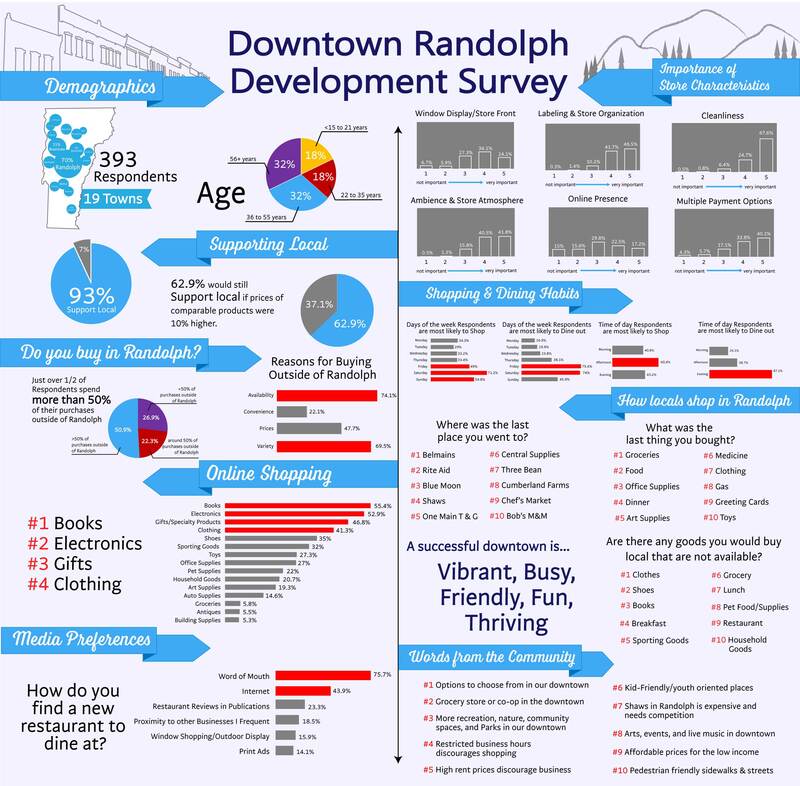 Currently the data is online to inspire small business development, strengthen current businesses, and inspiration to revitalize downtown Randolph. We have also given the information for students to use at Randolph Union High School, publishing information in the paper (coming soon), and the information is available at the downtown kiosk. For any suggestions please contact us by email or by phone.